As I am beginning to channel information about energy grids, Spirit recently provided a message about the energies of doorways, passageways, stairways, etc. and how important it is for us to understand the various dynamics of these vortexes. 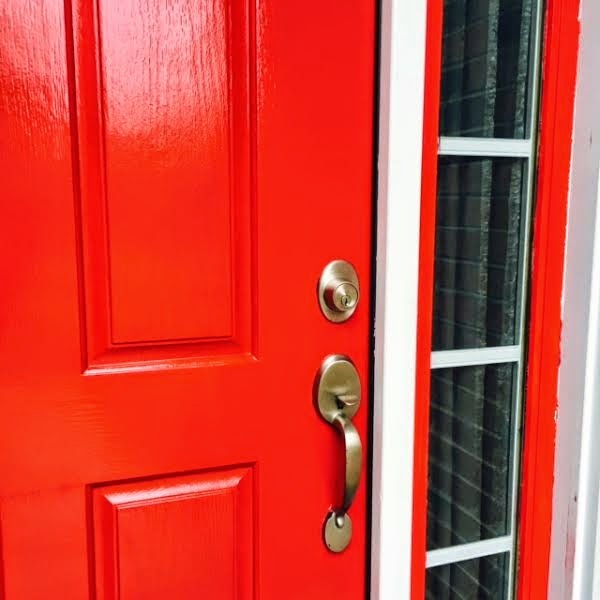 Changing the color of your door also shifts the energy! We often speak about opportunities in life as open doorways– or climbing the staircase to success, for instance. Simple metaphors that signify entering a new space that opens into a different dimension of reality. And now it is time to bring awareness to clarifying the energy that can be created when we project positive intentions upon entryways. The first and most important place to begin is through blessing your doorways. Blessing the doors and other entrances to your home can create a positive change in the type of energies that YOU specify are allowed to enter your personal domain. We use screen doors to keep out pesky bugs, so why not create your own etheric screen to purify what energies enter your home? Stand in front of the main entryway/doorway of your dwelling. If there is a hallway before you enter your own door, begin at that entryway, then proceed to bless your own door afterwards. Focus your awareness into your Heart Center and consciously connect to the LOVE of the Divine within you. Envision pure white or gold light emanating from your heart. Repeat this process at every entryway/stairway leading into your personal domain. When we also perform an action in accordance with our intentions, creation energies become exponential. For example, incorporating essential oils, burning sage or Paulo Santo to clear discordant energies, and/or placement of crystals or religious objects at your doorway adds another positive dimension to your blessing. Using high frequency essential oils, such as Frankincense or Purification (I am a distributor of Young Living oils and know that both of these oils are excellent) will further amplify your blessings/intentions. Simply apply a few drops on your hands and waft the fragrance using circular motions up and down the frame of the doorway as you declare your blessing. Blessing your doorways is but one way to create a positive, high frequency space around you. Using this teaching, you can see how this simple technique can be applied to other vortexes as well. Why is it that the holidays, a time of thanksgiving and joyful celebration, are often overshadowed by death and the aftermath of sorrow? How can we get through the deep grief of letting go amidst festivities and the happiness of others? There is no easy or perfect time to lose someone near and dear to you. A heart wrenching goodbye feels all the more tragic during what is celebrated as the best time of the year. Remembrance of the death bed and funeral, amidst the backdrop of festive cheer, can feel even more devastating. As though a cruel irony is being played out that will forever dim the lights on the holiday season. Truth is, our loving intentions during Christmas and Hanukah create the most comforting and welcoming of passages for those souls ready to leave the body and enter the higher dimensions. Our collective consciousness sings out to the heavenly realms during this sacred time and, thus, we are in the company of the Most High Angelic vibrations. Angels are everywhere! The Elohim and Seraphim share the beautiful, enchanting Music of the Spheres and embrace us with a powerful Light shining down upon Earth. A clear and brightly illuminated vortex lights the way for those who are called Home. Hopefully, you can find comfort in knowing that loved ones crossing the veil during the holidays are surrounded and blessed in the unconditional love and eternal embrace of the angels. And you are reminded by these beautiful Beings of Light to ask for what you need. They reside right beside you, ready to be of service, but because of your own Divine Sovereignty and Will, angels may not interfere unless requested. Ask and you shall receive. That is a promise from the Higher Realms of Light and the gift of the angels. Although saying goodbye to a loved one is heartbreaking, ask the angels for Ease and Grace to help you fully accept and embrace grief in order to heal. Gratitude for all that departed loved one fulfilled in your life, will then uplift you so that- when you are ready to let go of your sadness- you will allow joy to flow from your heart and celebrate the holidays as befitting this sacred and beautiful time. 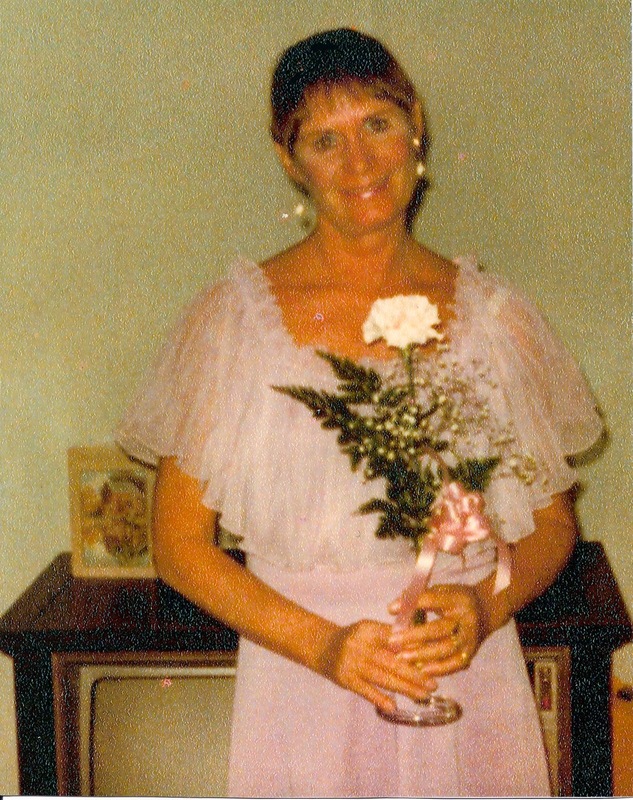 Our loved ones who have passed on oftentimes have a profound ability to come back and visit us. Special events- birthdays, holidays, and the anniversary of their life transition are such magical times. These energetically charged occasions are portals for inter dimensional travel. My personal experience of this phenomena began shortly after my mother’s death. I kept one of mom’s lamps, and much to my surprise the light would turn on all by itself, usually in the middle of the night. She felt so close, I actually tried to reach out and touch her! My mother also moved objects in the house. Her favorite Barbra Streisand album mysteriously moved from the crowded bookshelf and stood upright on the floor- certain to be noticed. My husband had just mopped the tile, and he was astounded to see the cover of the album facing him when he re-entered the room. He sincerely wanted to believe that our loved ones don’t leave us forever, but until then he hadn’t experienced this phenomena for himself. For many, seeing is believing. This was just the beginning. For the past eleven years, mom visits faithfully on her birthday- it’s as though she’s granted a present to commune with her only child. When she’s in my midst, my heart instantly expands and long suppressed tears flow joyously. Others profess similar experiences when their departed relatives ‘drop in.” Some report finding coins and feathers in unusual places. Others relay an odd sensation upon hearing a favorite shared song on the radio. All followed by the same undeniable ‘feeling’ of a loving presence nearby. A few weeks after my cousin died, I smelled smoke. I searched everywhere trying to find the origin- concerned that something was on fire. The odor continued through the night and, finally, when I sat still in meditation the next morning, I sensed something unusual. Nancy was an adamant smoker, and that smell was always in her field. This was the key. When I shared my story with her sisters, they were astounded. They, too, had experienced the smell of smoke and felt Nancy nearby. Even pets can show up. All day I had been reminiscing about my loving dog, after he was put to sleep a month previous. I really missed my faithful companion. 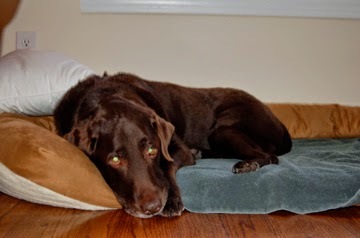 Late that night while alone at my computer, I was startled by Bailey’s distinct Lab yelp. I stopped typing and asked aloud of the darkness beyond, “Bailey, is that you?” I slowly walked to his favorite resting spot on the rug by the door and suddenly felt his sneeze against my bare leg. Living in balance is important to feel joyful and fulfilled. Both giving and receiving in equal measure ensures that as you are receiving back in equal measure what you give to others. While in a balanced state, peace and harmony emanates from within. You can think more clearly, act more decisively, and love more freely. Everything in seems to fall into place easily. And I bet you can remember lots of times that you truly felt balanced, as well as those difficult times in life when you felt way out of alignment. 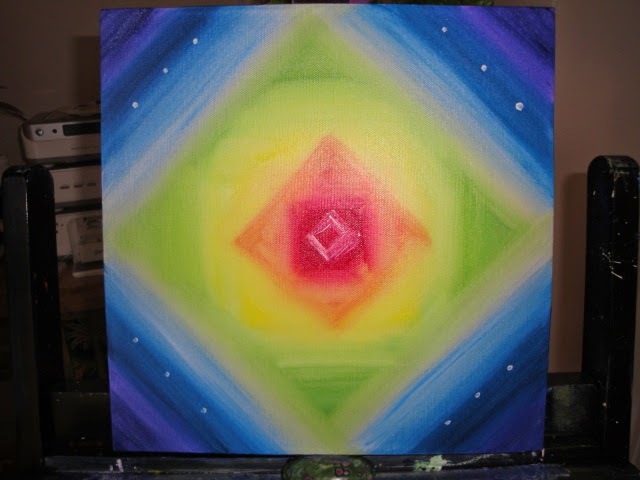 Channeled image for meditation focus to assist in balancing. When I named my business, I wanted to express the Radiant Light that is our true nature. I added ‘Body, Mind & Spirit’ because all three aspects need our attention and focus for complete balance. When you take stock of your life- in search of whatever may be out of sync and off balance, examine each category. To that end, below is a list of various aspects of life for Self reflection. The list is by no means complete- you may think of other areas personal to your own life. But it is a good place to start. And the goal, remember, is to really look deeply within and around you, in order to see what aspects could use some attention and ask yourself what changes you need to make through your own thoughts and actions. 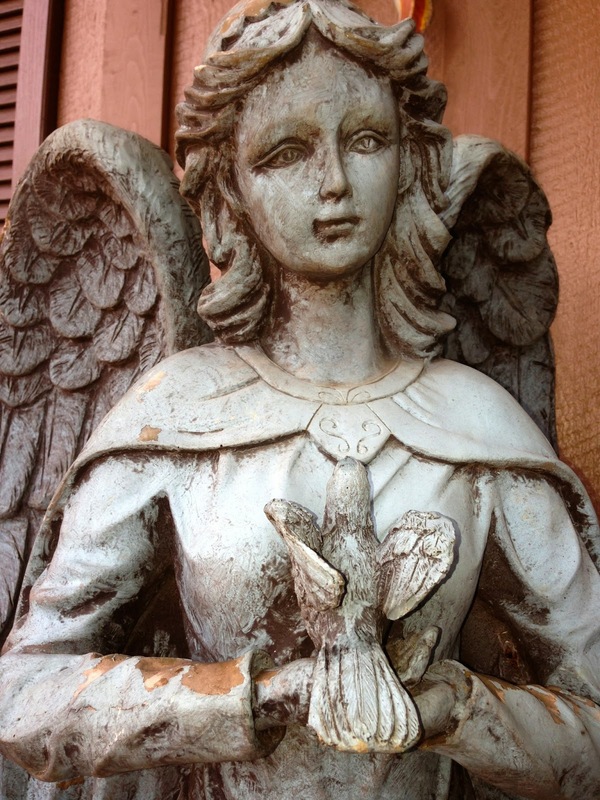 Jot down where you need improvement and ask the angels, Spirit– however you address the Divine- for assistance. ~ Are you taking care of yourself physically? Eating healthy organic and raw foods. Moderate intake of caffeine and alcohol. Adequate rest during the day, as well as enough sleep at night. for Vit. D intake) and connection with Mother Earth. Giving yourself at least a few minutes each day to be in silence and/or meditation. Speaking your truth with kindness and compassion. Setting healthy boundaries in relationships with family, friends, co-workers, neighbors. Letting go of judgement: Curbing/eliminating criticism of yourself and others. Releasing negative thoughts and ideas. Releasing of the need to control. ~Are you connecting with your heart’s inner guidance in life? Focusing on what you are passionate about and gives you joy. Allowing others to do for you. Enjoying the company of like-minded individuals who share your beliefs. Living in integrity with your beliefs. Forgiving yourself and others for injustices have occurred in your life or those close to you. Seeing the mirror of yourself reflected in others. Celebrating life in all forms: animals, nature, other cultures. 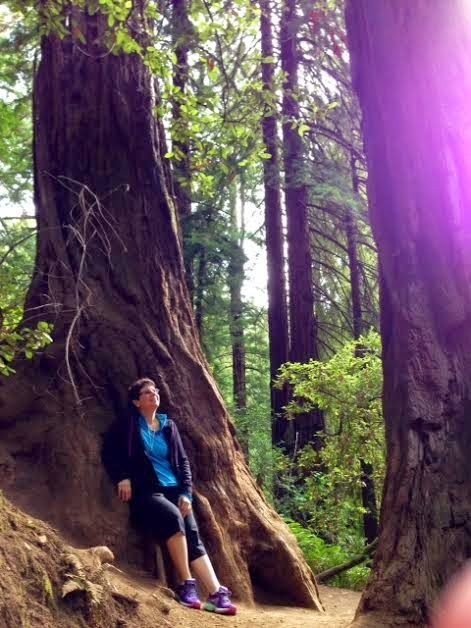 The moment I crossed the threshold of Muir Woods, my body felt the deep vibrations of sacred space, as the giant Sequoias- Guardians of the Realm- peered down upon me. My entire being connected to the energy of ancient life and our group- on retreat to Mt. Shasta- began hugging the mammouth trunks in personal connection and thanksgiving. We joined hands forming our own sacred circle of love- each excited with anticipation, not only because of the miraculous surroundings in our midst but also for the entire adventure that had just begun. As we were individually drawn to explore the forest, small groups formed naturally, and Ruthi and I paired off together taking the trail to the left, as others walked on ahead. The astute hikers sought the high trails and, in an instant, we all set out on our own. The early morning air was clear and crisp as Ruthi and I carefully traversed the narrow pathway. We whispered in respect of the living woods around us. Our every step reverberated through the ground as we keenly felt the vast network of roots under our feet. Softly, the call of a butterfly, perched high atop the uppermost leaves of a giant Sequoia, beckoned me to glance upward. I could see beautiful turquoise wings fluttering, and in my heart I acknowledged this beautiful creature’s hello. It was a special bond, formed many years ago between me and the butterflies, that made my heart rejoice at this magical encounter from high in the treetops of Muir Woods. As we journeyed on, my glance fell upon the dark bark of a tree that revealed blackened scars, scorched from a fire many years ago. One side of the trunk was totally singed, and as I leaned my hand upon the burnt bark, Light Language flowed effortlessly from my lips, retelling the sorrowful tale of the ravishing flames and the physical endurance of this Sequoya’s surviving such a catastrophe. The communication from the wounded tree was about endurance and survival, and forgiving those who commit arson and destroy vast forests of trees and their inhabitants. 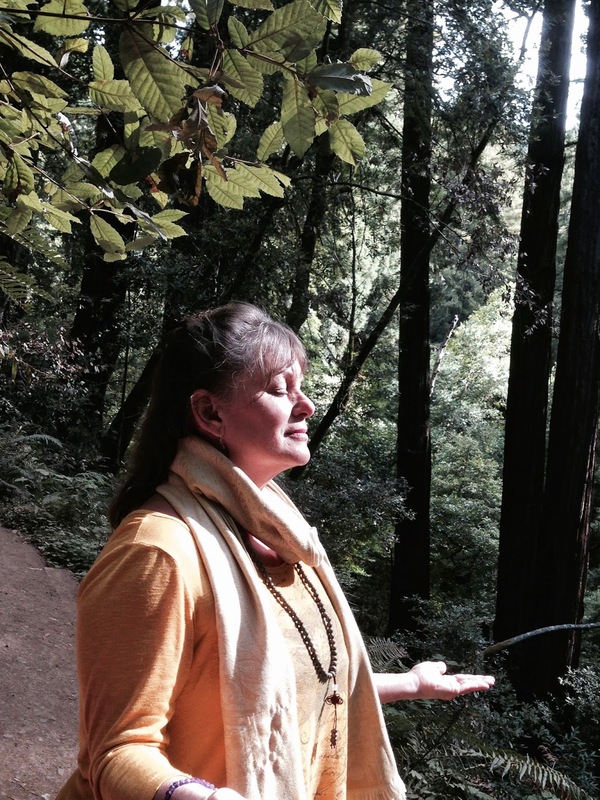 I recorded this channeling on my cell phone, and much to her surprise, Ruthi, who had never heard anyone speak in such a manner, intuitively understood. She repeated back to me the message her heart interpreted naturally, and she was openly pleased when I nodded in agreement of her translation. We began talking about mankind’s ignorance of the needed balance in ecology and the continued clear-cutting and utter destruction of trees and wildlife. Moments later, Ruthi would experience her own transformation concerning forgiveness toward mankind. Being of Jewish decent, Ruthi expressed sincere difficulty in trying to forgive the horrific genocide of her ancestors. She was not sure that she could extend such a magnanimous and loving gesture to Hitler and the Natzis and like-minded individuals who perform such horrific crimes against humanity. She related to the trees’ unique hardships at the hands of lumbering companies who aim for profit and care little about the mass destruction of precious forests. As we spoke of the need to be compassionate and to forgive (whether it be heinous crimes against humanity or the thoughtless destruction of nature), I was touched by Ruthi’s kindness in mentioning how she benefited from listening to my Embracing Forgiveness CD. I know the benefits of forgiveness, and I am always humbled by those who give such sincere testimony about my guided meditation to help others heal their hearts. As we spoke about the need to forgive, Ruthi suddenly felt the magnetic pull of a nearby fallen tree, and she stepped up and over a ridge to touch the limbs. 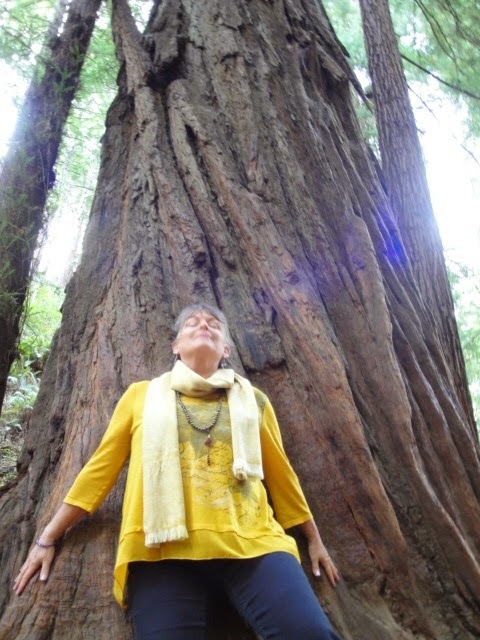 “This is the time,” I urged my new spiritual sister, “to let go of convention and allow the powerful energy of the trees to help you forgive the past- once and for all.” I slowly walked on and in a private and profound exchange, Ruthi experienced a personal transformation of surrender and sending the loving energies of forgiveness into her own family and society’s past. When her communion with the fallen tree ended, Ruthi stepped back onto the trail alongside me. She appeared visibly changed. Forgiveness does that to a person. Her whole countenance radiated serenity and peace- previously experienced on the outside- now within. We walked on in reverent silence. Muir Woods resounded with a plethora of boisterous tourists, who totally ignored the signs to quietly honor the natural habitat. We were all grateful that our early arrival gave us the privacy we enjoyed in such a magical place. The energies remained palpable and stayed with us long after we boarded our van headed north to Mt. Shasta. Even now… I can still feel the loving embrace of the ancient, magical trees.